Mnova allows you to process large datasets with the best quality in order to obtain the most precise results. Once datasets have grown to 20-200 spectra, manual processing is no longer an option. Mnova can automate the processing of large datasets of biofluids to extract an ASCII file ready for the statistical measurement. 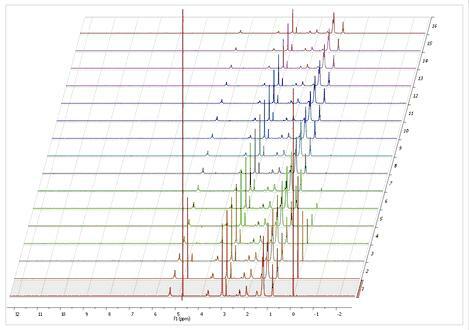 Mnova includes powerful specific Phase and Baseline Correction algorithms for 1D and 2D biofluid spectra in order to get the correct quantification. Mnova can be used on large datasets of biofluid spectra in two main ways, depending on the size of the dataset. Graphical (<100 spectra): this mode allows all processing commands to be executed on a group of spectra simultaneously making possible the interaction with all spectra at the same time. 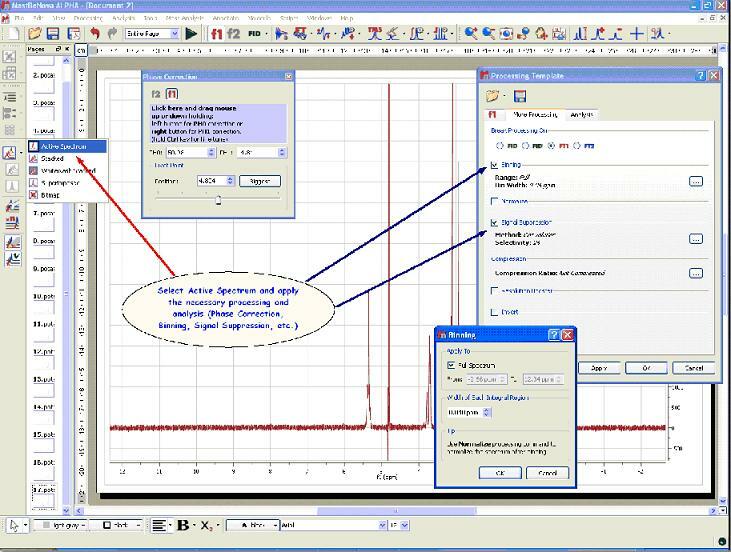 Scripting (>100 spectra): the user will only need to open a single spectrum of the dataset and optimize the processing in order to apply it to the remaining spectra by using the scripting capability implemented in Mnova. Let’s take a look at the graphical method. 2. Select all the spectra in the page navigator in order to create the stacked spectra. We can do it by pressing Ctrl+A or by following the menu Edit/Select All and then clicking on the Stack Spectra button (in the left-vertical toolbar) or going to the Tools/Stack Spectra menu. 3. Select one of them (by selecting Active Spectrum in the Stack scroll down menu of the left-vertical button) and apply the necessary processing and analysis (phase and baseline corrections, binning, signal suppression). The operations to the first spectrum will be applied simultaneously over the whole dataset. 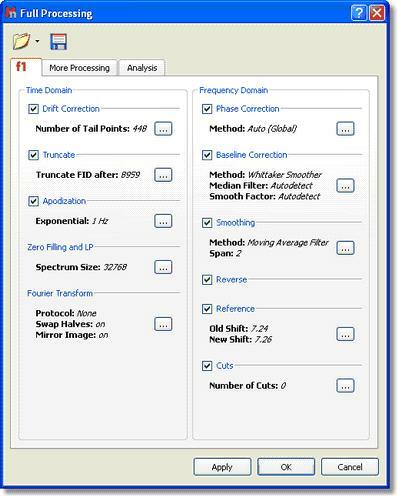 Mnova incorporates several specific features for biofluid samples; such as Automatic Phase and Baseline corrections algorithms, Solvent Suppression (to remove, for example, the dispersive signal of the water), Auto-tuning referencing, Binning (or bucketing), Global Spectral Deconvolution (work in progress). 4. Once the processing and analysis have been made, we can export to an ASCII file for the PCA or PLS, just by following the menu File/Save As/ASCII text file (*.txt). 1. 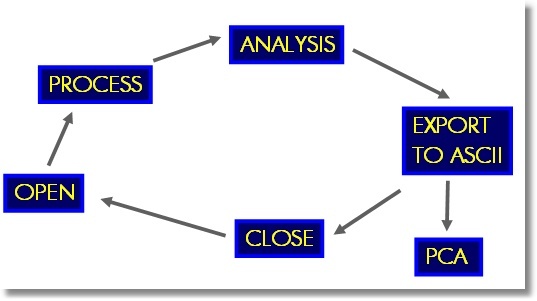 Load one spectrum and process it as desired. This dialog includes all the processing and analysis features implemented in Mnova. You can choose the required options by selecting the check boxes and, if necessary, specify options by clicking the button next to the corresponding command. 3. 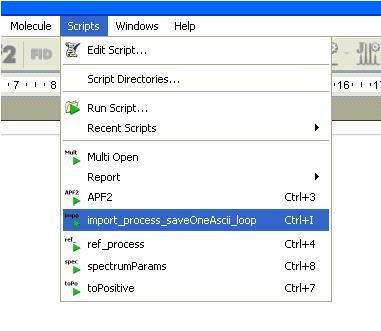 Once you are happy with the result, save the script file to a Mnova Processing file (*.mnp) by clicking on the save button in the dialog box. 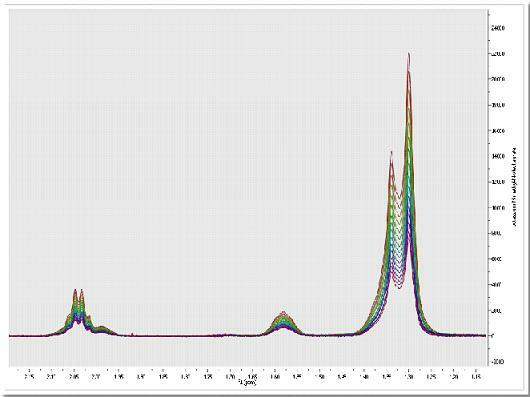 Once you have saved this template, you will be able to run a script to process all the spectra in the same way. If the number of datasets is too large, Mnova is able to open, process (apodization, FT, Zero Filling, LP, phase and baseline Correction), analyze (binning, etc. ), save to an ASCII file and close the spectrum, in order to open the next one and continue with the processing (to avoid an excessive use of memory). 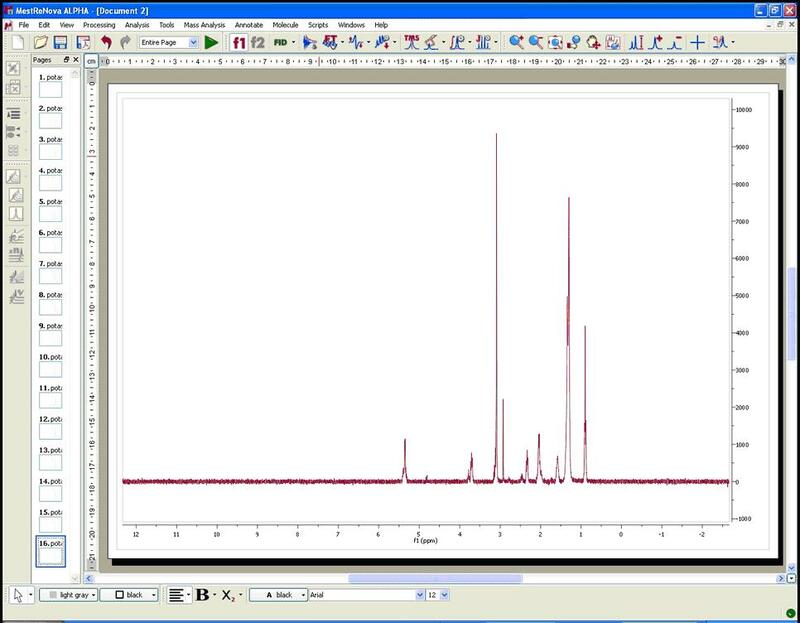 If the number is not large, Mnova can keep all the spectra fully processed on screen. 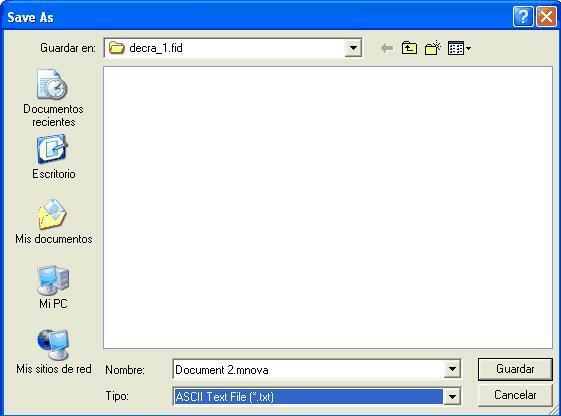 You can use the below script to automate the above process and save all the result into the same ASCII file. You will be able to download it from this link Copy this script to the scripts folder of Mnova, restart the software and the script will appear under the Scripts menu.